Australia’s submarine fleet is in troubled waters. Plagued by reliability problems almost from the moment they hit the water in 1996, the six locally built Collins class boats are down to their last few gasps. However, modern replacements are a long way off because the country’s political and military leadership can’t decide what exactly they want. The decision making limbo can be partly explained by Australia’s lack of experience with high-octane military hardware. The country also doesn’t have the cash to pay for the up to $36 billion replacement bill, which is expected to double or triple when you factor in lifetime operational costs. But the more immediate reason is the country is exploring too many options from too many countries. It is talking to Japan while also keeping Germany, France and – a highly reluctant – America as options. Plan A was to go for Japan’s Soryu class submarine. However, with the ouster of former Prime Minister Tony Abott, who was backing the Japanese boat, the Australian defence establishment is watching which way new Premier Malcom Turnbull will swing – East or West. Australia’s 2013 Defence White Paper lays out rather steep requirements for the country’s future submarine. The key requirement is that it must be able to undertake strategic missions where the stealth and other operating characteristics of highly capable advanced submarines would be crucial. “The boats need to be able to undertake prolonged covert patrols over the full distance of our strategic approaches and in operational areas. They require low signatures across all spectrums, including at higher speeds,” the paper says. Currently, the only submarines in the world that meet this requirement are made in Russia. 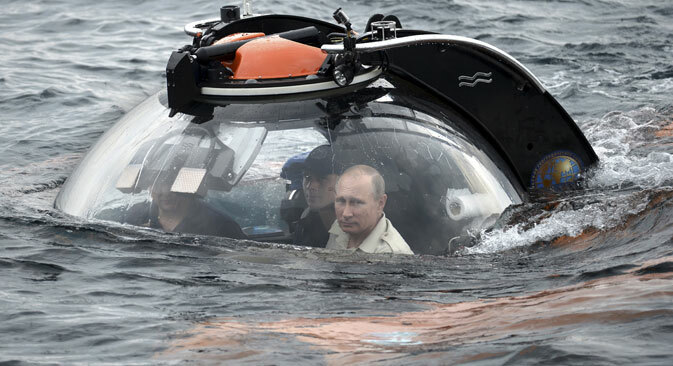 Moscow’s latest Novorossiysk submarine – also known as the Black Hole – is characterised by advanced stealth technology. Boasting cutting edge diesel-electric propulsion, this super silent submarine is virtually undetectable when submerged, which explains the nickname. Even the US Navy – which claims it tracks Russian subs 24/7 – cannot detect the Black Holes. These submarines can freely approach the coastlines of the United States without fear of being detected. In the nuclear powered class, Russia has the Akula, which it has leased to India. In 2012, an Akula class vessel armed with long-range land attack missiles sailed around the Gulf of Mexico for several weeks without being detected. Russian subs are also known for their extended range, frequently sailing intercontinental distances from their bases in the Arctic. This capability is in stark contrast to that of the European submarines, which are designed to patrol shallow waters or at most the North Atlantic. Australia, with its vast maritime boundaries, requires an undersea force that can patrol both its western and eastern seaboards, with little to no down time. As well as range, attack submarines need teeth. Russian vessels are equipped with the world’s fastest and deadliest land attack cruise missiles and anti-ship weaponry. The Granit missile, for instance, can travel 625 km, which will allow the Royal Australian Navy (RAN) to attack targets from well outside the range of its opponents. The Akula’s are armed with the potent Klub anti-ship and land attack cruise missile having a stupendous 2500 km range. The Collins saga should be a warning to Australia against the hazards of relying on a single vendor. The submarines experienced a number of engineering problems, proving to be a nightmare for the RAN. They required a number of costly fixes, which meant the Collins class wasn’t fully operational until 2004 – a full eight years after launch. According to Andrew Davies and Mark Thomson of the Australian Strategic Policy Institute, even with many engineering fixes in place, the Collins class still lacked a working combat system and its diesel engines were highly unreliable. In a report titled 'Mind the Gap: Getting Serious About Submarines’, they point out that remediation of the defects cost well over $1.6 billion. Clearly, stealth – a requirement of the White Paper – is not a virtue of the Collins class submarines. With the benefit of hindsight, Australia should hedge such risks by opting for more than one vendor. The White Paper recommends a 12-vessel fleet. Realistically, Australia can find the resources for six. Whatever the number, it should split the order between, say, Russia and Japan or a European vendor. What about the US? Australia’s hopes for an American bailout are misplaced because the US does not make diesel electric submarines any more. Even if Australia tweaks its requirements and opts for a nuclear powered sub, it can’t expect any help from the US. This is because the US is busy replacing its own outdated fleet plus it doesn’t trust nuclear technology with any of its allies except Britain. In fact, the Americans have been asking Canberra to go for the Soryu with a view to drive Japan and Australia closer, perhaps as a ploy to isolate China. Since Russian subs are the stealthiest and also have the longest range, they meet the primary criteria of the Defence White Paper. Divvying the order between Russia and Japan/Europe will ensure that problems with one type will not send the entire fleet into dry dock. The current environment in the Asia-Pacific is stable with the likelihood of trouble. This is mostly to do with the US-China rivalry in the region. With a significant number of Asian countries – including rival Indonesia, Vietnam and Thailand – beefing up their militaries, in particular their submarine fleets, Australia’s paranoia has increased manifold. In this backdrop, Canberra should build bridges with Russia rather than antagonise it. Under the recklessly belligerent Abbott, Australia had adopted a policy of open hostility against Russia. Australia needs to let go of its Cold War thinking and look at Russia as an enabler of regional security. Russian submarines will be the glue that will tie both countries in a sort of naval embrace, ensuring that Australia will have a powerful ally in the Pacific. As the clock ticks away on the Collins, Australia doesn’t have the luxury of mulling endlessly. As its neighbours acquire Russian, French and German submarines, it needs to act before its submarine wing becomes the collateral casualty of neglect. That’s the best case scenario. The worst case is that there will be years when Australia would have no submarines at all. In such a scenario, Australia’s plans for a fleet that is “regionally dominant, superior and also affordable” will sink to the bottom of the Pacific.